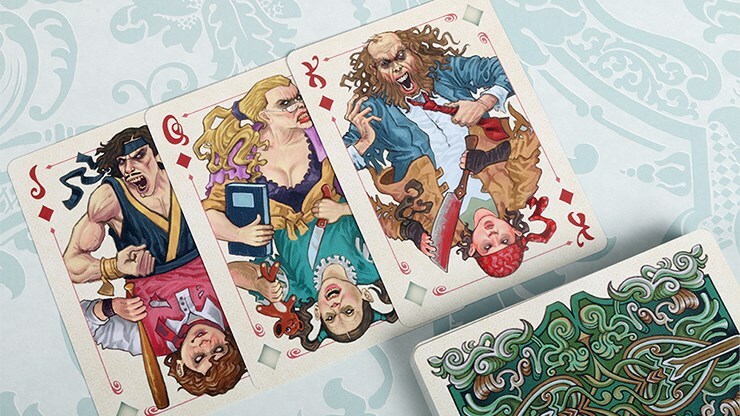 Collectable Playing Cards and Johnny Whaam introduce their brand new Bicycle Heir Deck, with custom galore! Flip through the deck, and you are sure to admire its combination of young and old. The rightful heir to the throne awaits in the shadows, and with it brings great responsibility. The court cards display a unique, one-of-a-kind portrait of young and old, mirrored on every court card. The heirs show father/son and mother/daughter. You won't see that on any other deck! 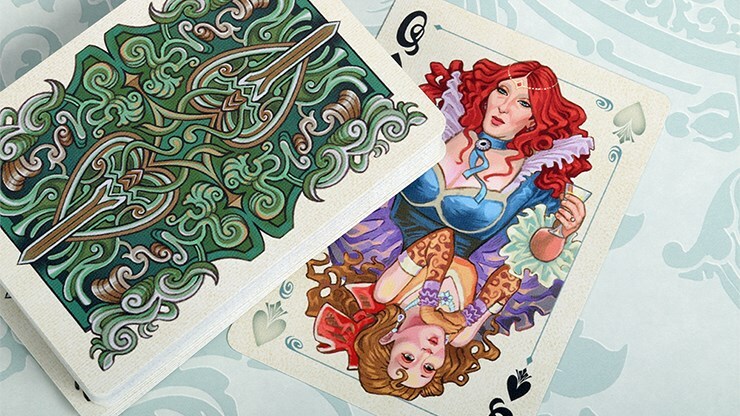 Beautifully hand-drawn and all custom artwork, it is truly a great piece for any collector as well as being a great deck to use for play. 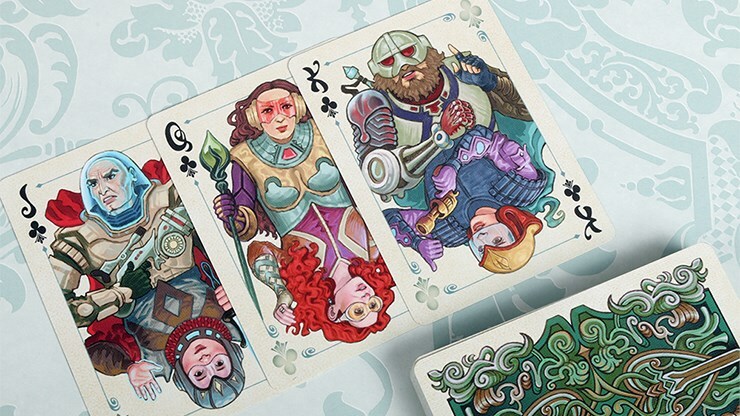 The numbered cards, with their pips and numbers, are as customized as you can get! All designed by hand and have never been seen before. Make sure to add this classic to your collection. Johnny Whamm is good at playful art, and he doesn't disappoint us here. 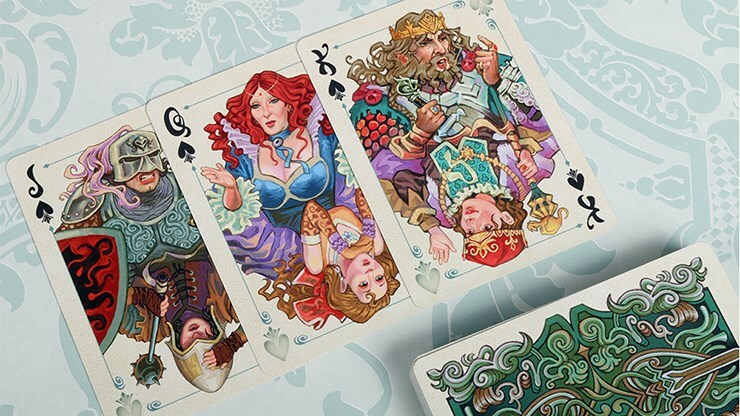 The court cards are especially good, with very lively and energetic and colourful artwork for our kings, queens, and jacks. Everything is customized, and one interesting feature on the face cards is a shadowed pip on the opposite corners of each card. The card backs also have a very nice design. 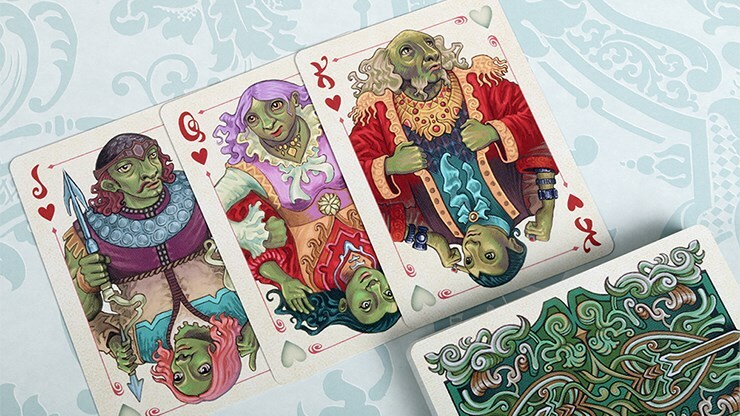 Another great deck from Bicycle.